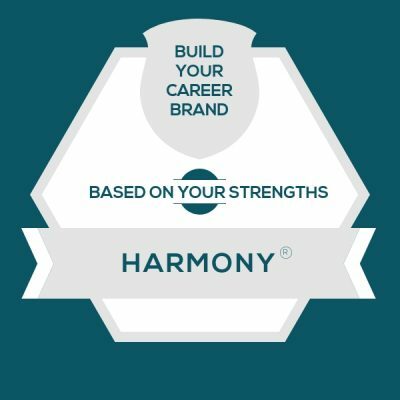 I hear a lot of curiosity about how to apply your CliftonStrengths talent theme of Harmony to your career. These are the cultures, interactions, or situations that feel like soul-sucking drudgery to someone with the talent theme of Harmony. They might even make you want to quit the team. So I’ll give you a couple of these to be on watch for — because if they fester, you might get the urge to quit the job or become detached and disengaged at work. The Awkward Hushes: Imagine the situation where you walk into the kitchen at work, and you hear two of your teammates talking about another colleague and how to undo that thing that they all got pressured into. This makes you feel super uncomfortable, because you don’t like constant conflict – and it bugs you that they won’t work it out in a healthy way in the room together. If you see a lot of closed-door conversations or offline conversations that seem secretive, this environment might feel toxic to you. The My Way Or The Highway Team: Lets say you’re are a member of a team that has a few very strong personalities. Instead of focusing on what needs to be done during a meeting, many of the team members spend a good chunk of the time re-hashing things that you thought were addressed last week. They tend to do this. When they don’t get their way, they won’t let a topic die. This meeting deja vu is wasting your time, and it might crush your mental energy because you can so clearly see the common ground that they can’t see because they’re unwilling to hear the other party’s point of view. These are ways to apply the talent theme of Harmony at work, even when the job duties on the team feel pretty locked in. If you’re exploring this concept as a team manager, be sure to have a conversation around these ideas. You’ll both be able to come up with places to apply them. Find The Same Page. When you’re on a team that has a lot of unproductive fighting, ask your person who leads through Harmony to give voice to the things that they agree on. It can add a lot of value to the team to say, “It strikes me that we agree on these 4 things, and that item #5 is the only one we need to work out.” It will feel like Mr. Obvious to someone with Harmony, yet often with internal battles, people get lost in the argument and can’t stay clear and objective about what they’re negotiating. Set Agreements In Advance. If you see an issue that will likely lead to conflict with your team member who leads through Harmony, have them consider what could go wrong in advance. Have them chat about expectations with their teammates before the issue happens so that when it comes up, it’s easier to raise the situation. This will keep them out of conflict avoidance mode. Get A Wingman. Ha! Not in that way. It’s a talent wing man. This is to have the person who leads through Harmony to match up with a person who leads through Command or Self-Assurance or Activator, basically, someone who will not waffle on a topic – they’ll be a partner who can help things move along and not get stuck when conflict arises. This partner can sometimes take over the conflict resolution. And, this person can also be a conflict-mentor who helps the person with Harmony see how things go down when they are addressed immediately and firmly. Although the person with Harmony won’t deliver the messages in the same way, they’ll get some resolution ideas and confidence by watching the masters at work.